Don't worry about Steed, ducky. I'll see he doesn't suffer. Oh, look. 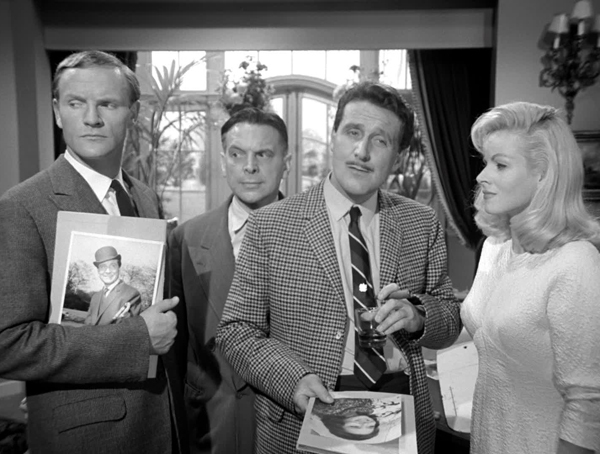 Another Steed doppelganger episode. Or is it? 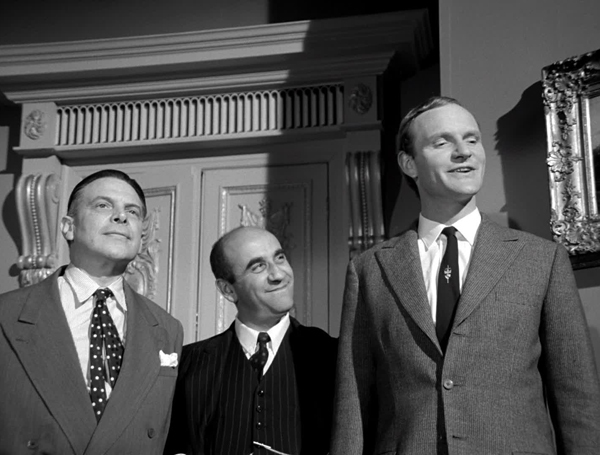 One might be similarly less than complimentary about Warren Mitchell dusting off his bungling Russian agent/ambassador routine (it obviously went down a storm with the producers; he previously played Keller in The Charmers and Brodny would return in The See-Through Man). 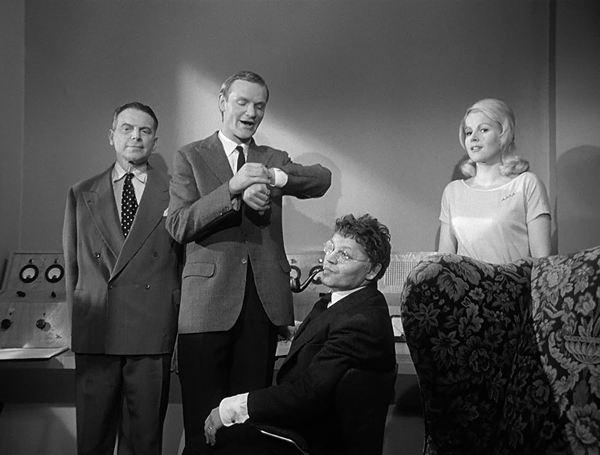 Two’s A Crowd coasts on the charm of its leads and supporting performances (including Julian Glover), but it’s middling fare at best. 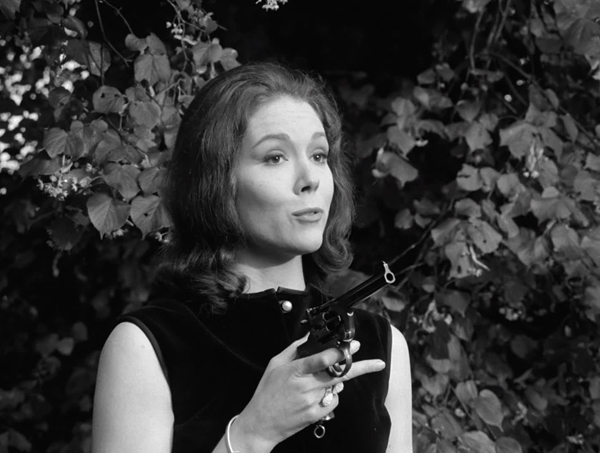 Steed: Oh, come now, Mrs Peel. If I had a twin, I’m sure mother would have mentioned it. If I had a double you’d know in thirty seconds. People may look alike, but they don’t behave alike. The opening gag isn’t bad, of a plane dropping a very small bomb – in fact a message – which lands in Brodny’s soup (later there’s death by miniature submarine). 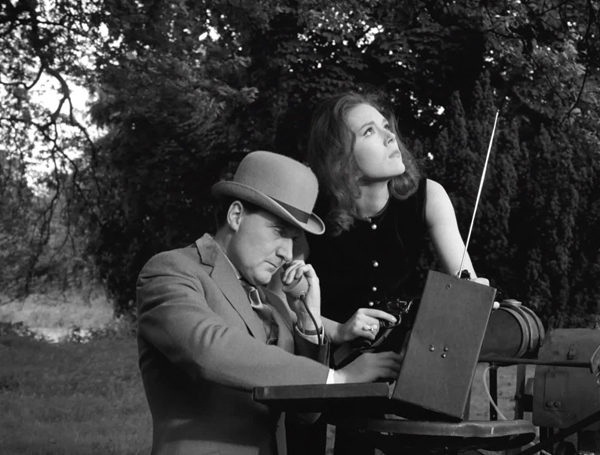 But the plot itself fails to become intriguing, not in respect of the identity of Colonel Psev, or of Mrs Peel working in a model shop (on the off chance the Colonel’s proclivity for model planes is satisfied), not in the desire to infiltrate a conference to establish the Polaris submarine supply routes (yawn), and it only provokes very mildly the intrigue as to whether Gordon Webster is in fact Steed (at no point is it very difficult to see through Steed’s denials; this is the kind of plot line where the surprise would have been if Webster wasn’t Steed). 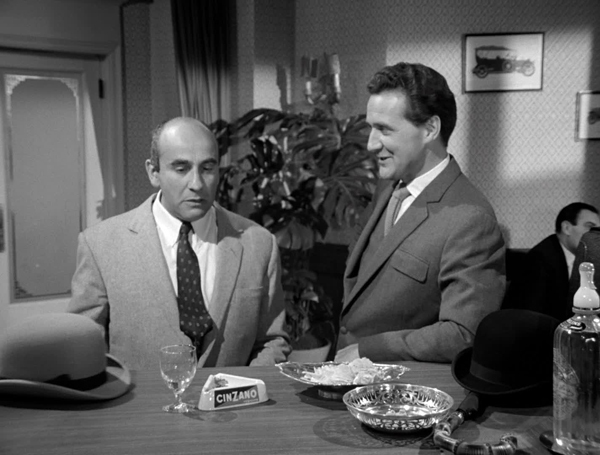 Steed: Do you always squeeze the toothpaste from the middle? Major Plessy Carson: No, I never did until I got married. We’re also told that Steed’s vintage car is called Fido, and Brodny establishes that Steed wearing a carnation with a bit of foil wrapped around the bottom is a no-no (“You fool! Why don’t you put a stick of celery in there as well?” – possibly this gave John Nathan-Turner ideas). 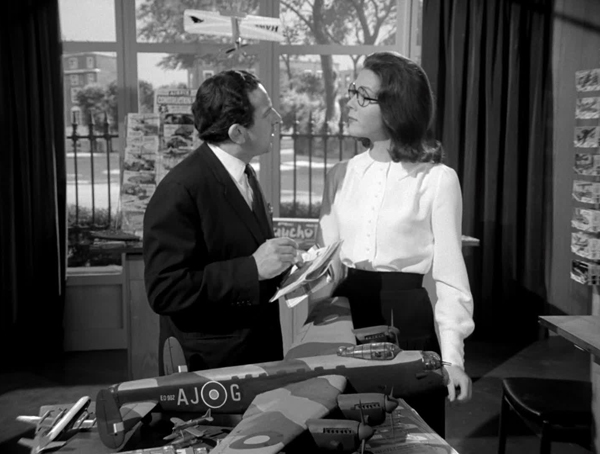 Steed’s justification for deceiving Emma is “The fact that you were fooled convinced them”, which I guess is reasonable, but the entire scenario is tenuous at best, and not enough fun/drama is wrung from it to make it worthwhile. 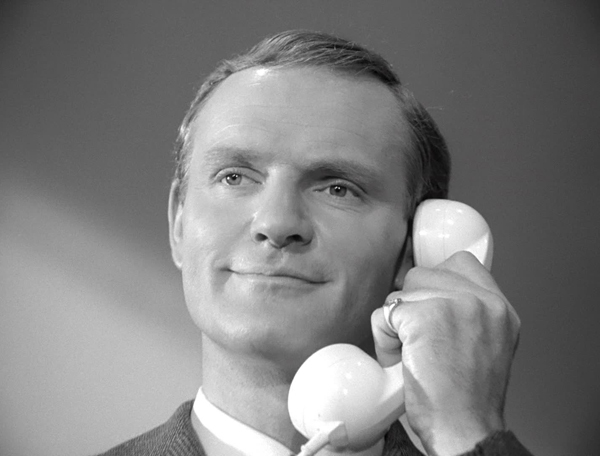 Likewise, in a story with better characters, the reveal of Psev might have carried more weight but instead merely elicits a shrug (Alicia Elena, Alec Mango and Wolfe Morris are all fine, but only Glover – Scaroth, etc – makes an impression, in his first of four Avengers appearances, and he’s given little of real wit or substance). Steed: Hope the Colonel enjoys it. Brodny: Oh, I’m sure he will. Mitchell’s mugging is dependable (“You’re not smoking it” he replies when Emma notes his cigar is nice), but he’s a Harry Mudd-type comic relief for the series, never really endearing enough to be welcome. 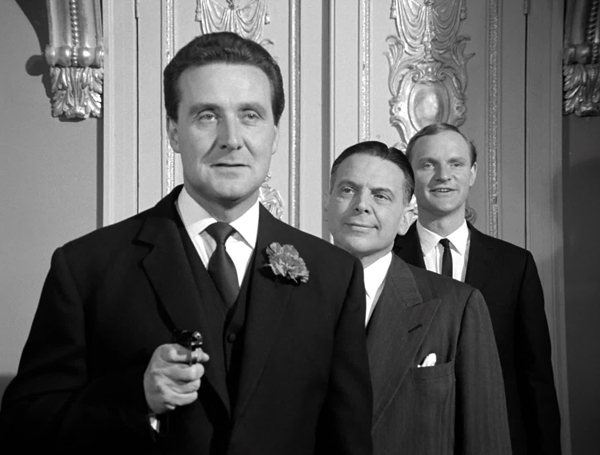 Steed’s fooling him into revealing Psev is at the Embassy is a neat touch, though, when he gives him a bottle of Crème de Violettes. 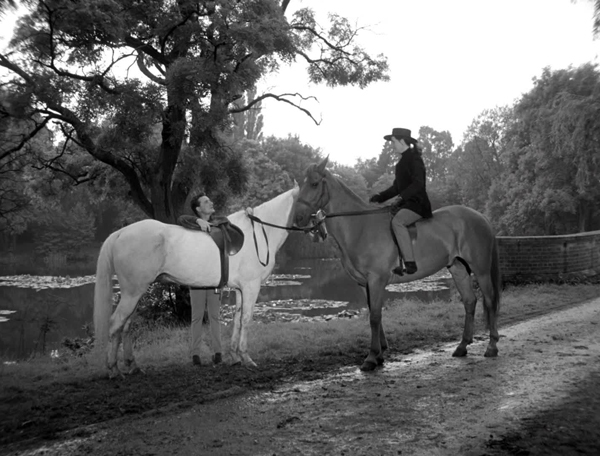 The walk-off has Steed and Emma on gee-gees, and for once it looks like there’s no back projection involved.